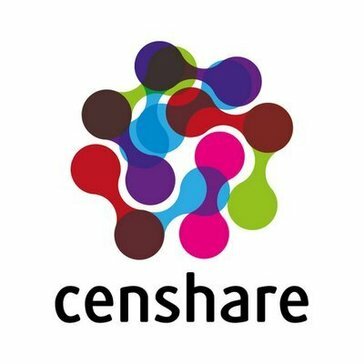 Work for censhare Digital Experience Platform? "censhare is a great tool"
The company is very knowledgable and extremely helpful with their software. The software is incredible and is extremely useful. I like the capability to customize this software to what ever you would like. It an work as a basic Digital Asset Management system, or be your entire Ad set workflow. This software can fit the needs of almost any company from inventory to full ad sets to user management. Due to the size of the software, it can be a bit to take in. There is a lot to learn about the software, and no one person can administrate or cover the entire software. It can get a bit expensive too due to all of the customizations that can be done. I am an engineer that supports this software ware, but we do have clients who are using this to run a complete ad set through this software from start to finish. I have seen this software used for text books from start to finish and even for video editing and publishing. "Excellent simple configurable and powerful asset management and workflow tool"
It's a configurable system as opposed to one requiring development. Very little. A more detailed roadmap would be good, but not of improved features but new ones. This is a very easy system to use and deploy. I assessed a number of products and Censhare was by far the easiest to deploy and use, as well as not overly costly. Access to assets, ease of finding them and ensuring we are using the latest/approves ones. "Responsible for maintenance and development of censhare"
censhare provides a basic workflow engine with which it is simple to configure different workflows. When a process/workflow is designed time to market is short. Core opportunity has been automation. "Sophisticated and elegant digital workflow software"
I was an early adopter of Censhare in the US -- the first Editor-in-Chief to work with it here -- and I'm satisfied with it overall. It's allowed us to go from a paper-passing system to an almost paperless situation without a lot of pain. My favorite thing about it is being able to look at and manipulate flat plans populated with the actual layouts in progress. I also like a "print preview" feature that allows me to "flip through" a simulated magazine before sending the pages to the printer. In general, it feels as though Censhare was developed primarily with the back-end user in mind: It's so loaded with protections against elements getting detached and the like that's it's tough on the creative user. I'm in the process of developing a new magazine now, and many of the features that are a Godsend to the folks in Production are tying my hands as someone creating something new. Like everyone else, we're trying to simplify our workflow so we can gain efficiency and free up staff to do more. Censhare had definitely helped us to do that. "Censhare - for those with structure in mind"
Keep in mind that you need to rethink how you produce content into the direction that structure and accessability often forces you to rethink again. Don't try to implement a complex product like censhare while keeping the internal structures and shape censhare to become an analogy to your trtaditional way of work. Censhare needs an open mind and your readiness to change. With censhare we are able to produce and sell knowledge. As a language driven editorial house we need to add value by adding structure to our content. "central workflow tool that allows all users to share and collaborate"
all departments from ad sales, editorial, designers, photo editors, production are all on one platform creating a magazine. Ability to see the status of any task at anytime allows us to better manage the workflow. This enables us to have better deadlines and find efficiencies with in the company. this is the only workflow tool that will allow you to incorporate all of your 3rd party tools in with it. We can go from concept to press in one tool. finding open capacity with in departments to be used for creativity. ability to accurately measure the time it takes to complete tasks. 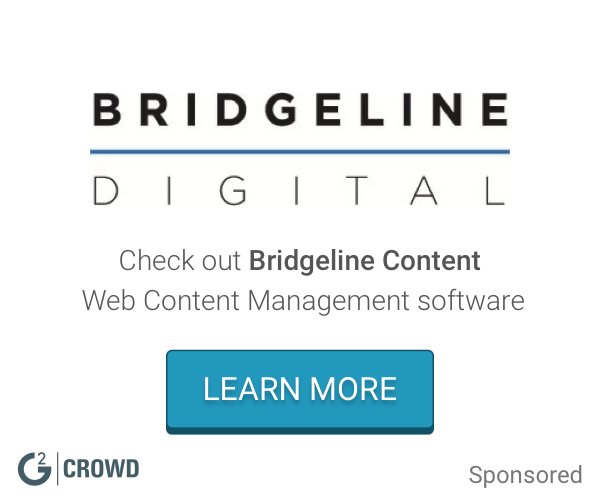 "Truly a unique strategy for omnichannel content management"
It is such a different product than it's competitors that it is often hard to explain. should be in all serious review of solutions for any marketing, or publishing company or department. better management of content and resources. censhare have moved the milestones for the provisioning of global content across omni-channels. Not only does the technology provide one of the very few fully integrated MAM frameworks within a digital publishing solution, it delivers some unique data relationship capabilities that enables the platform to extend into the corporate and enterprise "content" world with some ease. Now fully fledged as a "SaaS" platform, with a global partnership with Amazon AWS services. censhare 5.0 (the new release), also delivers incredible capabilities with the HTML5 framework and XML constructs. censhare 4.0 had a "challenging" user interface, which now with the progressive role out of V5.0 is being changed dramatically, making the solution much easier to use and deploy. What censhare does lack is a global network of partners that are capable of building the framework into a business platform. It's one area I am sure that censhare understand that they need to grow, both into marketing agencies, digital companies and consultancies. Make sure you have a very tight Scope of Work (SOW), stick to your main business requirements (achieving 80%) of what you need is better than 100% of nothing. Configure censhare NEVER customize the platform. Integrate where you can and ensure that you have the right consultants and technical support before you start. censhare capability outside of Europe is still a little too weak, they need to strengthen their capability in APAC and North/South American markets. Exceptional multi-lingual solution, great cross platform, multi-device capable and integrates, PIM,CRM, Media and analytics at the content level (a rare achievement). Having control over content is key, in today's digital environment, speed to market, localization and agility, along with performance metrics and analytics are key in driving any organizations global growth, censhare is an enterprise technology that in capability is equal to what SAP did for ERP and Salesforce did for CRM. "If you want to connect people with content and processes simply and efficiently... look no further "
Ease of use and breadth of functionality in one system. That many companies are not yet familiar with censhare. "censhare can be the hub of your omnichannel marketing automation"
Leverages what you already have (assets; marketing intelligence; branding and business rules) to allow the same resources to generate exponentially more output in a more controlled, targeted, and personalized and/or regionalized fashion. To get the full benefit of the tool, your organization may have to undergo some process or culture shifts. Definition of scope is key. Implement in phases. Consider change management. It simplifies steps and help eliminate extraneous time consumed to communicate with other departments. Also, it enabled us to constantly monitor how each issue of the magazine is coming together by the option of viewing the flat plan of the entire issue. My absolute favorite function of Censhare would be the versions. It's comforting to know that I can go back in time! From designer's perspective, Censhare and Adobe Creative Suite is still a bit of work around. For example, having to check in and check out twice (once in the Adobe programs and once in Censhare) seems like something that can be reviewed and changed. Also, the UI of the program could also be improved. For example, the asset query box should be more like the links panel in Adobe programs-- It seems too cumbersome as is. Our Photo department and the Art department that I am in, we handle large photos. Censhare tends to slow down when handling these photos. I am an art director at First for Women magazine. As a manager, I need to know where the files are, what stage the files are in to better manage the designers. With Censhare, it became tremendously easier to track with whom the files are and how far along a project has gone. Also, with the versions, junior staffers are less timid about making mistakes. It works as a buffer/ support. "New to our company, but so far so good." I like that I can access the paperwork I need easily and quickly. It did take some time to learn how to use it. It's also not visually exciting to view. It has a lot of potential to be great if you give it a chance to work out the kinks. Someone from our team created a step by step guide on how to use Censhare which has helped tremendously. censhare is extremely flexible. We've experienced a highly motivated team that is extremely motivated and very helpful and knowledgeable. We have found some features don't exist, so it takes a little time to work with product marketing and software engineering. Managing GoPro videos. Capturing and curating raw videos, curating work in process and publishing and curating final videos. We can easily identify and publish specific content and keep track of rights and royalties associated with these videos. "Magazine workflow efficiencies and more"
This has helped keep organization high and errors low. We can already see that it will save resources in time that can be used more efficiently. So far I have not found anything that is disliked. It has been easy to setup and customer service is great. I definitely recommend this for companies that need to streamline or organize better. Organization and time management are the big issues we wanted to alleviate. I already see that happening. "A perfect and innovative system for our needs as a global media company." As a media company we like the "All-In-One-System" to provide all the benefits to our Inhouse Teams and Customers. It is a big advantage to have just one system for magazine, book and catalogue production. Through the many possibilities realized through censhare, it is sometimes difficult to find the best way directly from the project start. "Business Development in different Branches with censhare"
Communication skills of the company. Strong metadata management allows for the linking of various data sources to provide flexible development of solutions. InDesign integration is outstanding and coupled with their workflow capabilities, implementing governance processes is much easier. Easier access to training and documentation. Be open minded as this platform can open up new ways of operating. Solves several issues including workflow governance, digital rights management repository consolidation for use with multiple delivery paths. "Great system for powerful media handling"
High performance system and great possibilities for custom workflows. To much features instead of focusing on marketing processes and handling of media data. Implementation of very large publishing and marketing approval workflows. Custom build image and video platforms. Translations processes for more than 15 languages. Exceptional technology and a terrific team of people focused squarely on solving customer problems. There's really not much to dislike about working with censhare. Give censhare a test drive! Well worth the investment in getting to know the team and the product. Both are top-notch! Customer digital content & asset management along with related communications. Improved workflows, better team collaboration, and happier clients. You can have an organised workflow in censhare, which helps if you're working with teams in different countries. We use censhare for publishing and getting our magazine ready for print. It's user friendly so anyone can be trained to use it fairly quickly. Every thing it's perfect, very good service. Learning about censhare Digital Experience Platform? * We monitor all censhare Digital Experience Platform reviews to prevent fraudulent reviews and keep review quality high. We do not post reviews by company employees or direct competitors. Validated reviews require the user to submit a screenshot of the product containing their user ID, in order to verify a user is an actual user of the product. Hi there! Are you looking to implement a solution like censhare?